John and Pat have worked side-by-side their entire marriage, as equal partners, to build a progressive and meaningful operation. KEARNEY, Neb. — John and Pat Daigger, of North Platte, Neb., were recently awarded the Nebraska Angus Association Angus Producer of the Year at the association's annual banquet held in Kearney in December. The award is given annually to the Nebraska Angus Association member who has contributed the most to the advancement of the Angus breed within the state and their community and to recognize that member for their efforts and work expended in the interest of the Angus breed. John and his wife, Pat, own and operate Daigger Angus, or known as Daigger-Orr Angus with the combination of their daughter Ruth and her husband David Orr. Their operation is located at Tryon and North Platte. John joins a list of 12 other Nebraska Angus Association members who have been recognized previously as Nebraska Angus Producer of the Year. 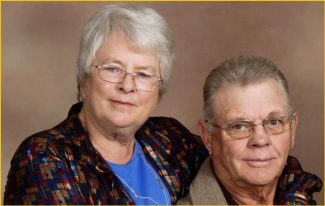 John and Pat's story can be read on the Nebraska Angus Association website at http://www.nebraskaangus.org. This year's Producer of the Year Award is well-deserved as the recipients have built their operation from the ground up with determination and grit. Their story starts long ago in the heart of the Sandhills. John grew up near Ringgold, Neb. His mother was a school teacher, and his father worked for the county department of roads. His extremely hard work ethic and drive to excel started here. He and his brother were to tend to the sheep, fix fences, and work in the hayfields. John as a child dreamed of having his own cattle ranch and begged his father to buy more land to expand the cow herd, as they always had a few mama cows around, but to no avail. At around the age of 13, John began to work summers for the Musser family west of Tryon, Neb., where he met his future wife, Patricia. Pat was born in a sod house north of Stapleton, Neb. Hard work has never been unfamiliar to her. Her Aunt Gertie Musser needed Pat's help on the Musser ranch to help tend the stock and to prepare meals for a large crew of workers. If you've ever spent any time with Pat around animals you know that she has a special sense and connection to all animals. John and Pat began to date after high school, and continued their relationship while John headed to Barber School in Lincoln. After graduation, he and Pat were married Nov. 27, 1965. John barbered full-time for a few years before buying the Avery Ranch near Tryon in 1969 and stocking it with their own commercial cattle. In 1974, they took over the Musser Ranch, of which they were both well acquainted. The Daiggers were progressive in the management of their herd of Angus-influenced commercial cattle. They were recording birth weights and manually adjusting weaning weights to 205 days of age. They had also begun an artificial insemination program. 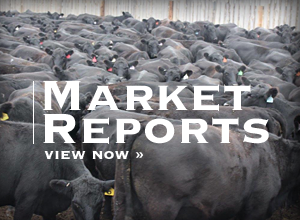 The jump to registered Angus cattle in the mid-1970s seemed to be a path of natural progression. A purchase made in 1976 really set the foundation for the future of Daigger Angus. John and Pat bought a semi load of Angus cows that were bred to Band 234 of Ideal 3163. Those cows' daughters were truly tremendous. They bred those daughters to P S Power Play, which was an excellent mating. They continued to use Power Play with great success for quite some time. John and Pat realized the importance of carcass traits very early on. They carcass-evaluated many of their early herd sires. They were also early adopters of new technology. They began to carcass ultrasound all of their bulls and replacement heifers at the inception of that technology. 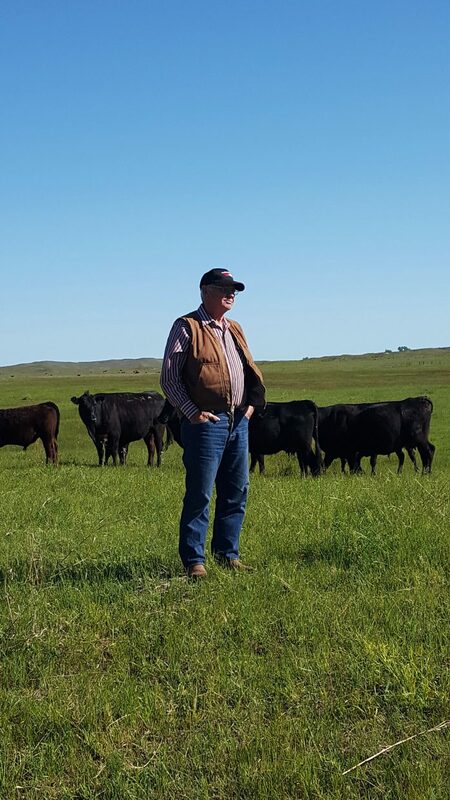 John became a Life Time Angus Association Member in the late 1970s, John served on the Nebraska Angus Association board as a commercial representative in the 1980s. He and Fred Kraye of Mullen would carpool to Kearney for the meetings. Can you imagine the good times that they had? 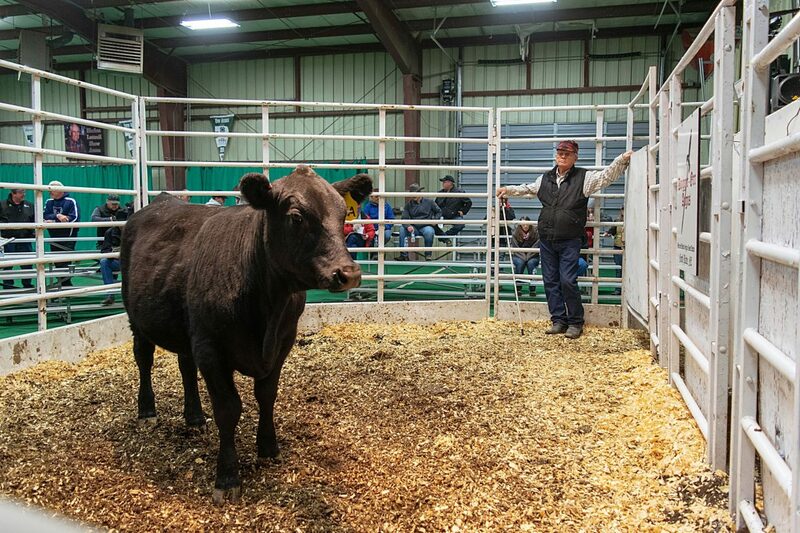 In the mid-80s John and Pat sold their first registered bulls in the Nebraska Angus Association Sale in Mullen. They consigned to several sales there before they began a joint sale with other producers in 1987. In 1989, John and Pat made the decision to move to North Platte. 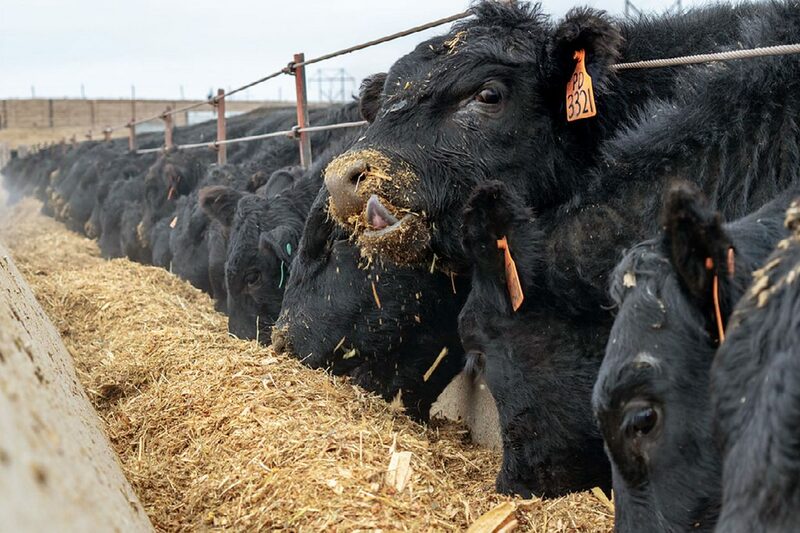 They bought a place southeast of North Platte that had the attributes necessary to become a fully functioning bull and heifer development facility that was close to feed and hay supplies. The mama cattle stayed on summer grass and winter range at Tryon, but were calved and AIed in North Platte. That is still the current program. 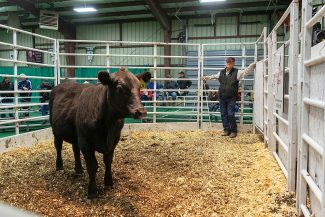 The First Annual Daigger Angus Production Sale was held in 1989. Later on, a sale barn was built on site so the annual sale could be hosted right at the ranch headquarters. Many successful sales have occurred in that barn, and many herd sires have sold there. 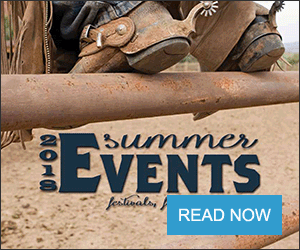 Some stud bull highlights include: Daigger 901, Victory, Deliverance, and Pay Dirt 546. In 2002, the Daiggers bought a few foundation Red Angus cows and bred some Angus cattle to Red Angus bulls to acquire Category II Red Angus progeny. They became Red Angus Association of America members the following year. Their youngest daughter Ruth married David Orr in 2005. A few years later, David and Ruth joined the operation, becoming Daigger – Orr Angus and Red Angus.